They say history is written by the victors. Perhaps that’s why our history books tend to be dominated by men, with women relegated to bit parts. Of course, there are exceptions: women so powerful and influential that their legacies live on. Queen Elizabeth I, Boudica or Joan of Arc, for example. Women’s rights activist Emmeline Pankhurst is another notable exception. Pankhurst, alongside thousands of women who were part of the suffragette movement, campaigned throughout the late 19th and early 20th century to win the right for women in the United Kingdom to vote. On 6 February 2018, Britain marked 100 years since the Representation of the People Act, which gave women over the age of 30 that right. In 1928 women achieved equal voting rights with men. Beyond these few well-known figures, there are many trailblazing women you’ve probably never heard of – which is why we celebrate Women’s History Month every March and International Women’s Day on 8 March. So who are some of these incredible women you didn’t learn about in history class? 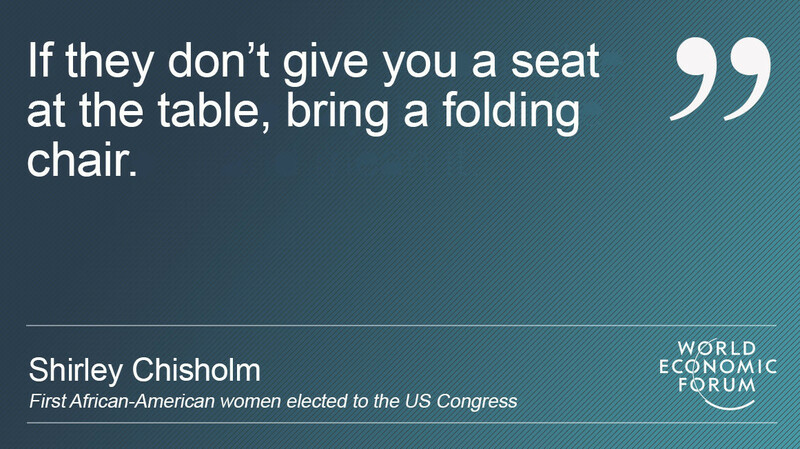 The daughter of immigrants, Shirley Chisholm was born into poverty in Brooklyn, New York City. After graduating with a Bachelor of Arts, she taught in a nursery school while studying for her Master’s at Colombia. She later got into politics, and would become the first African-American woman elected to the US Congress, and the first woman and black person to run for the Democratic Party’s presidential nomination. “I felt that the time had come when a black person or a female person could and should be president of the US – not only white males. I decided somebody had to get it started,” she said in an interview years later. While her bid was unsuccessful, she laid the foundations for those who would come after her, teaching them that anything was possible. It was this curiosity that pushed her to try and invent something that would make a positive difference during the Second World War. With her partner at the time, she drew on the mechanics of the piano to create a “frequency-hopping spread-spectrum” system – a device she hoped would protect Allied radio communications from being intercepted by Axis forces. Although she was granted a patent for the design, the US Navy didn’t take the invention seriously. Which was a big mistake – the same technology now underpins both cell phones and Wi-Fi. Years later, she received her long-overdue recognition when she won the Pioneer Award by the Electronic Frontier Foundation. In 2014, the Smithsonian magazine voted her one of the 100 most influential Americans of all time. But outside of the United States, few people will have heard of Sojourner Truth, an African-American abolitionist and women’s rights campaigner. Born into slavery, she was separated from her family when she was nine. Twenty years later, and still living in slavery, she had a vision of Jesus calling her to freedom. She managed to escape and went on to become one of the leading voices in the campaign to end slavery and women’s rights. Cleopatra might be the most famous Egyptian woman, but her compatriot Huda Shaarawi was just as influential in her time. As was the norm for upper-middle-class women in Egypt, Shaarawi spent much of her younger years living inside a harem. It was here that her resentment of Egypt’s patriarchal society began. She would write in her memoirs years later that “being a female became a barrier between me and the freedom for which I yearned”. Shaarawi was determined to bring down that barrier. In 1908, she founded the first philanthropic organization run by women. Two years later, she opened a school for girls. At the same time, through her husband’s work as a politician, she became more involved in the fight against British colonialism. In 1919, she organized the largest women’s protest against British rule. After Egypt won its independence, she went back to focusing on women’s issues, setting up the Egypt Feminist Union, the first nationwide feminist movement in the country. One of her most famous acts was to remove her veil – at the time a requirement for women – in front of a crowd in Cairo. Within a decade, few women in Egypt still wore the veil. Don’t be fooled by the name: Lilian Bland’s life was far from boring. A sports photographer and journalist, she once tried to ride in the Grand National, but was turned away because she was a woman. Undeterred, she decided to try her hand at something else: flying. She had closely watched the success of Louis Blériot, the first man to fly a plane between continental Europe and the UK, and decided to follow in his footsteps. A year after his record-setting feat, she designed and built her own plane, the ironically named Mayfly. It may have been made of an empty whiskey bottle and her aunt’s ear trumpet, for want of a real petrol tank, but it did the job. 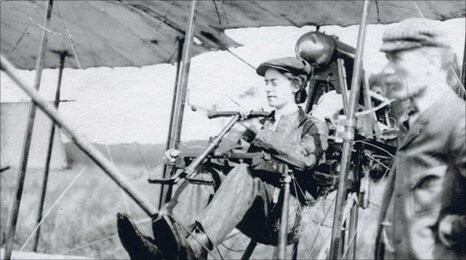 Bland became the first women in the world to design, build and fly an aircraft. Where are the women leaders?